There is one thing that I know for sure: I am competitive. This is not something I have tried to hide. In fact, I poked fun at myself just the other day that I tried something new which was running in an organized race just for fun. This competitive nature is nothing new. I have been this way my whole life, and I’m pretty sure it’s genetic. Games of Chutes and Ladders and Monopoly got a little heated in our house. If you challenge me, I’m going to do my best to win. Don’t worry! You’ll get the full details of this pizza challenge in next week’s WIAW. I can remember my volleyball coach sitting us down one time and asking us if we wanted to win or if we wanted to have fun. I thought that was the craziest question ever because didn’t those go hand in hand? How do you have fun losing? (Another reason I like running because you are constantly competing against yourself and your previous times but that’s a whole nother story) When I first got my Skip-it (if you didn’t have a Skip It growing up, I’m sorry) I would stay outside and practice until I mastered it. Same thing with riding my bike. Some people view being competitive as a negative, but for me, it always pushes me to be the best ME I possibly can be. 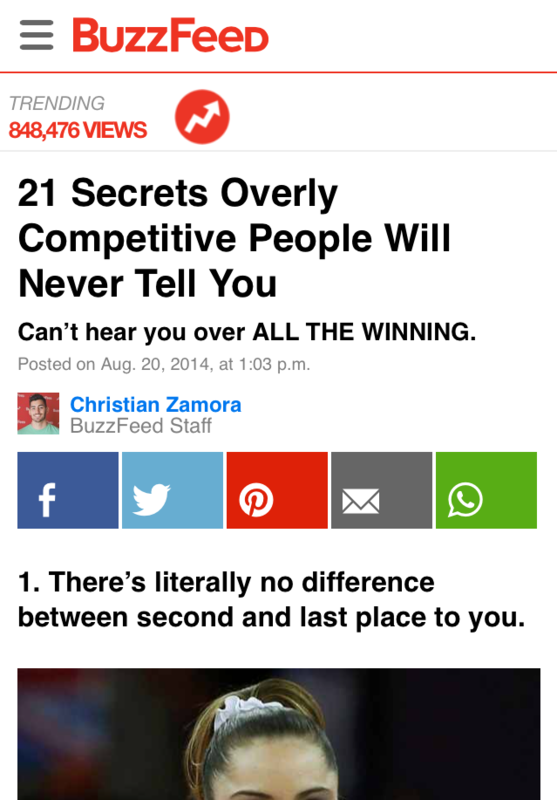 So when Buzzfeed came out with their list of 21 Secrets Overly Competitive People Will Never Tell You, I couldn’t stop laughing and shaking my head. Favorite Buzzfeed listing I need to check out? Most importantly: do I need to send you an autograph? Yes, send me an autograph. I used to be very competitive, and I definitely still have it in me, but I have mellowed out a ton. I would say I’m a 6-7, but it depends on what it is. I don’t think that I have to be the best, but I definitely have to be right/good/grade A, if that makes sense. You know you have made it in the world when you appear on a BuzzFeed article! I keep praying I appear on one for crazy Harry Potter fans. I’m competitive about certain things, but as a whole pretty low competitive. I like the planning part of being competitive. You know, planning out how to take down your competitors. Oh my gosh, dying. Too funny! 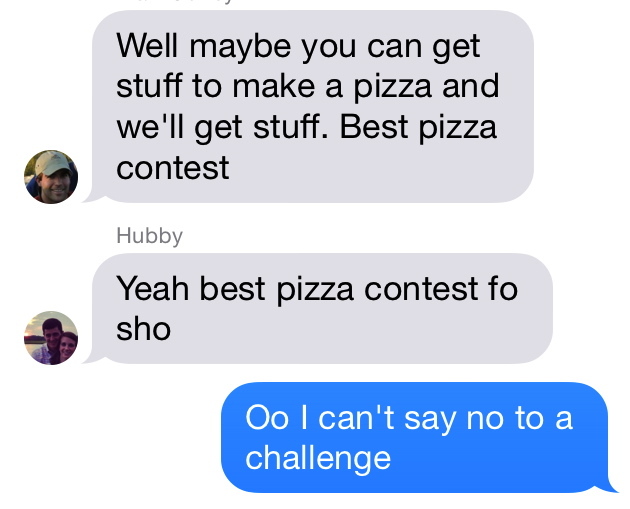 I am super competitive and try and tone it down so I don’t get out of control.